Hawaii Native Status: Introduced. 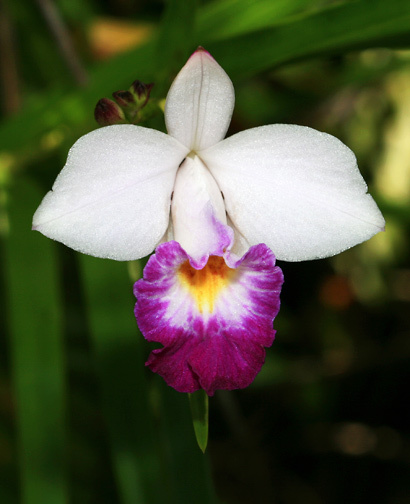 This naturalized ornamental garden plant is native to tropical Asia. Description: The flowers have oval-shaped, white or pink tepals (petals and petal-like sepals) and a ruffled, magenta-edged labellum (lip) with a yellow center. 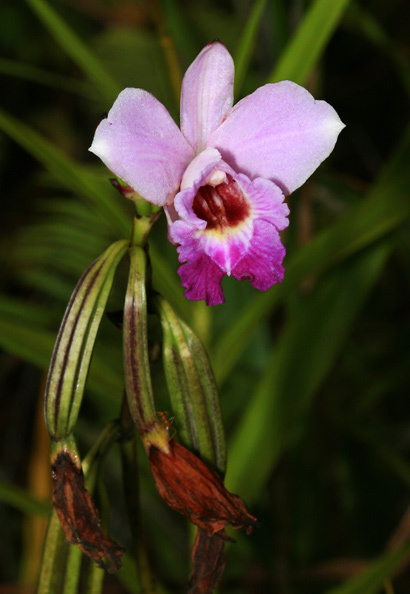 The top sepal is narrower and smaller than the 2 side petals, and the lower 2 sepals are pressed against the labellum. The flowers age to a pink color. 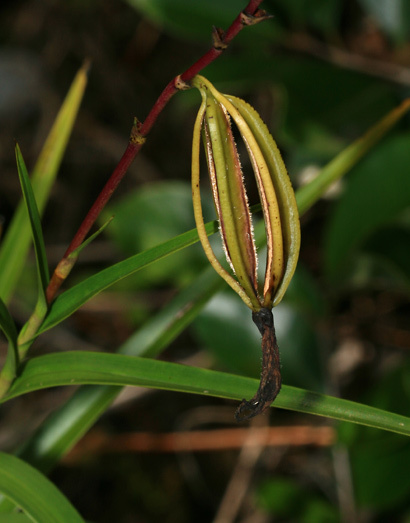 The flowers are followed by drooping, 6-ribbed seed capsules that split open into basket or birdcage-like structures that release the minute, dustlike seeds into the air. The leaves are green, grasslike, and alternate with linear-lanceolate blades and sheaths that wrap the reedy, upright stems. When not blooming, the plants look very much like young bamboo plants. 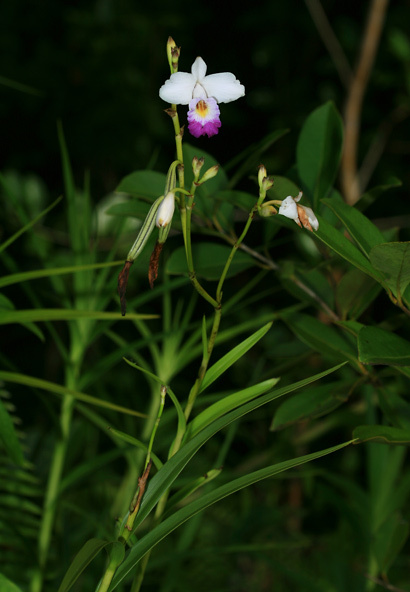 Bamboo Orchid grows in sunny, open, disturbed areas in wet to mesic forests, and it will colonize lava flows.